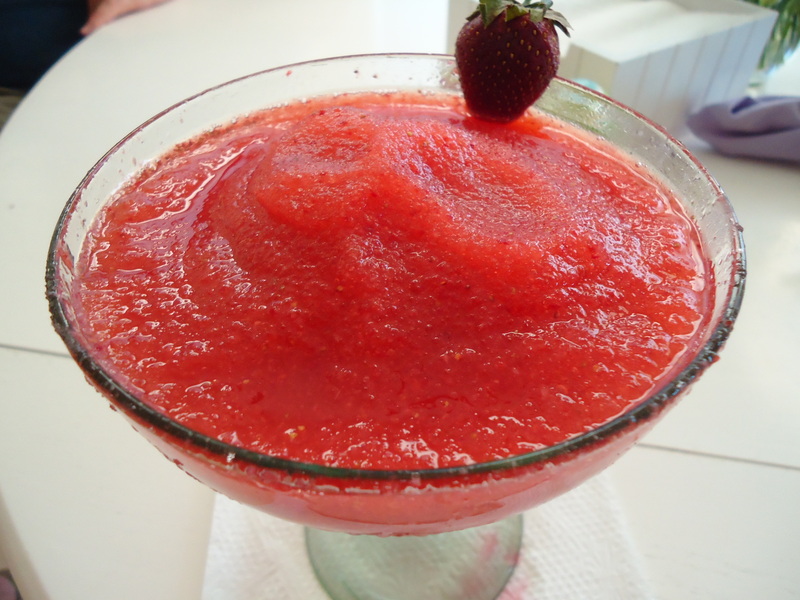 Strawberry margaritas are so refreshing. I absolutely love them with a sugared rim. Of course these can be made with frozen strawberries but fresh is always best. These are perfect to enjoy sitting out by the pool, relaxing with friends or just to make a Saturday afternoon special. As I mentioned before in my post for Key Lime Margaritas, use the best tequila you can afford. Silver is fine but I also like to use a Reposado. This recipe makes 2 servings and if you need more make it again. I don’t recommend doubling it. I know it takes more time but it will be worth it. The ice will blend better when making fewer servings at a time. This entry was posted in Beverages, Cocktails, Favorite Things. Bookmark the permalink.